I'm adding Hakka Lui Cha @ Restoran Ho Boh (河婆擂茶馆) to my Lui Cha collection. Address: No. 21A, Ground Floor, Jalan TK 1/11A, Taman Kinrara, Seksyen 1, Jalan Puchong. 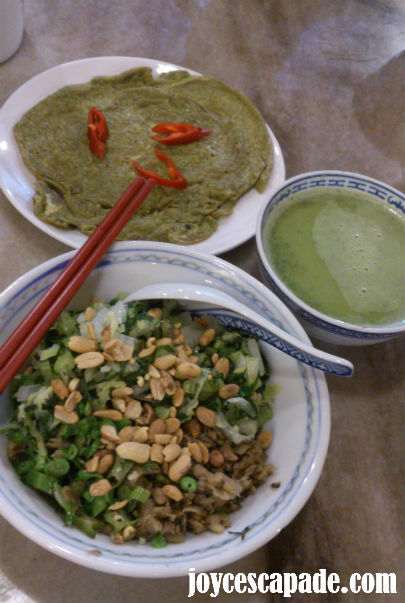 By the way, the flat greenish pancake looking thing is actually Lui Cha Fried Egg. It tasted so-so. Eyewwwwww!!! Not for me! Tried once, never ever again! LOL!! !